I’m sticking with the Technic theme of last weeks’ review for this week, and it’s a very close relative in more ways than one! 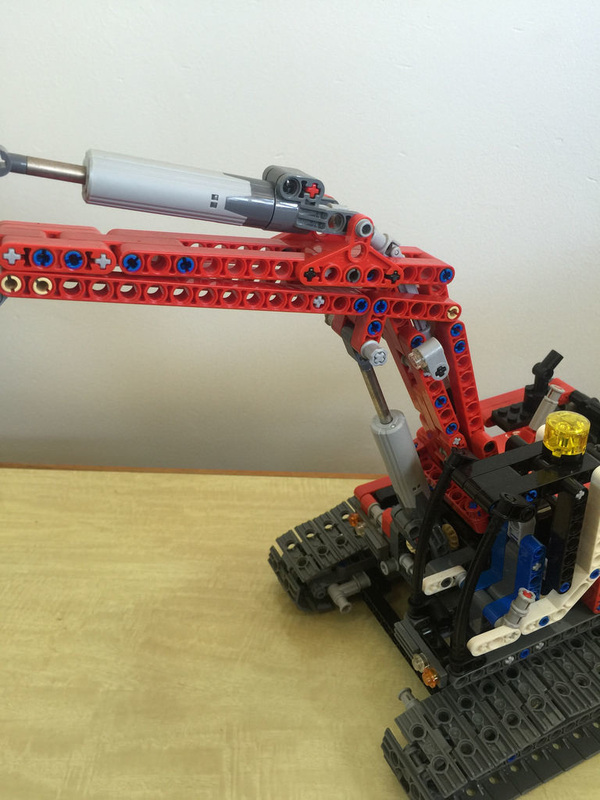 We’re only one set number away, it was released in the same year, both use the linear actuator for the first time, and both were found in the big bulk lot. 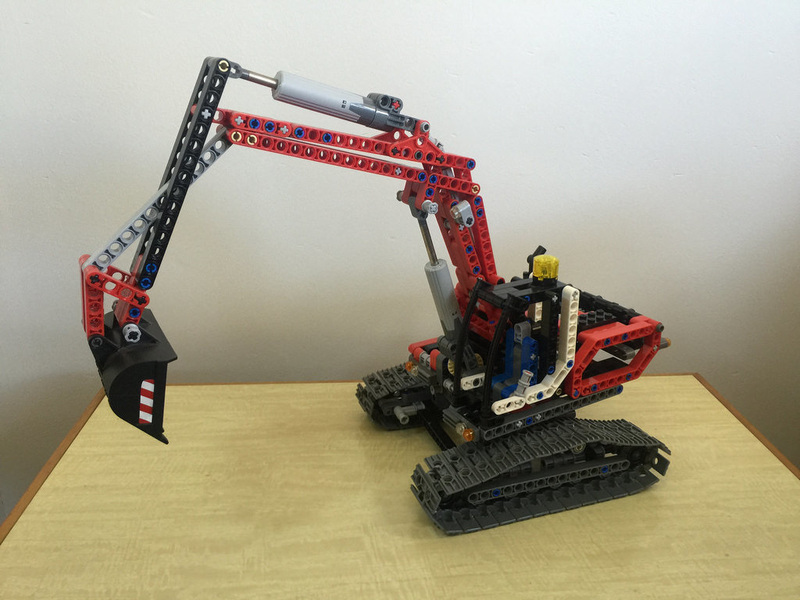 This model is a large model red excavator, complete with large caterpillar tracks. While this set has some pretty great elements included, there’s nothing that is still unique today. There’s two of the linear actuators that I mentioned last week, as well as a bucket, some pretty cool looking sprockets that make up the larger caterpillar tracks, and the tracks themselves. 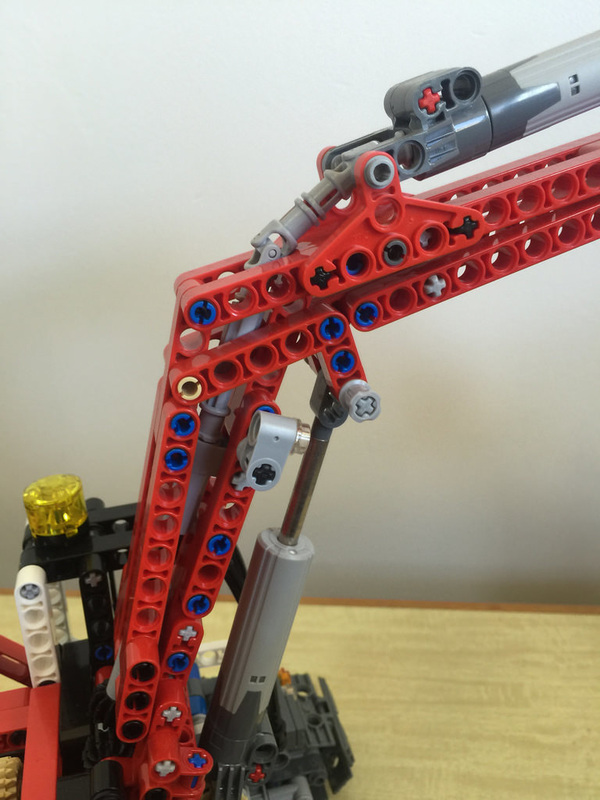 There are also two of the articulated propeller shafts, which are always brilliant to have, as they’re so useful. Along with an assortment of cogs and axles, as well as a bunch of red elements, including a driving ring and changeover catch. Pretty neat all up. Who doesn’t love a big digger! This thing is pretty great to drive around, scooping up anything and everything that may or may not fit in the bucket! 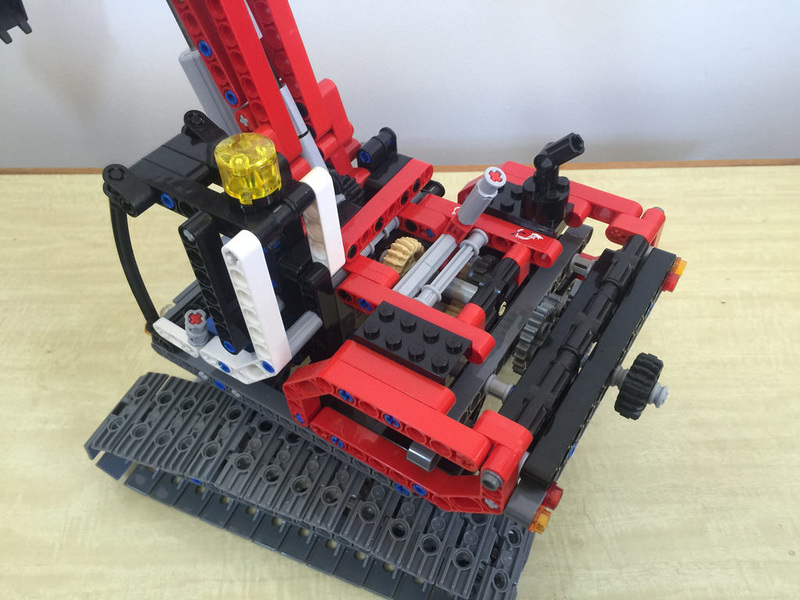 Not only does the machine roll around on the tracks, but it can spin, which in an of itself is not a spectacular feat, but with the boom and bucket movements, which are all quite realistic, it makes for a good fun model. It takes a little bit of time to get the thing moving due to the way the gearing is set up, but it’s still brilliant. There’s a lever at the top of the machine to move the bucket or the boom itself, and it’s nicely tucked away to be quite unobtrusive. Definitely hours of fun for LEGO fans of any age. 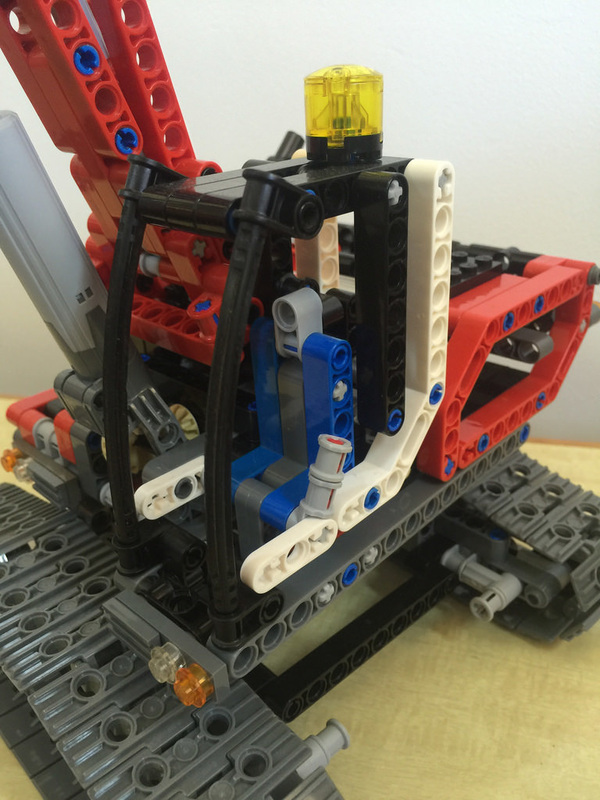 The build starts with the caterpillar mechanism. It’s pretty simple as the two sides are identical, and then clipped together. Next up is the gearing mechanism that controls the boom and hand winder. The cab comes with this section,and includes some different colours to make it a little more interesting. Lastly, the boom is put together, and connected to the body. Yep, this thing looks really cool. Bright red makes it stand out, and it’s a good size. In my opinion it could have had a little more detailing on the body, but that’s purely aesthetics only. It behaves the way the real thing does, and looks good doing it. I love it! I couldn’t find an RRP for any Australian releases online, so I’m assuming that it wasn’t available here, but I’m going on an approximate price of around $60. I’m sure it would have been more. Used sets are still going for around the same price as when it was released, but a new set will set you back almost $200. 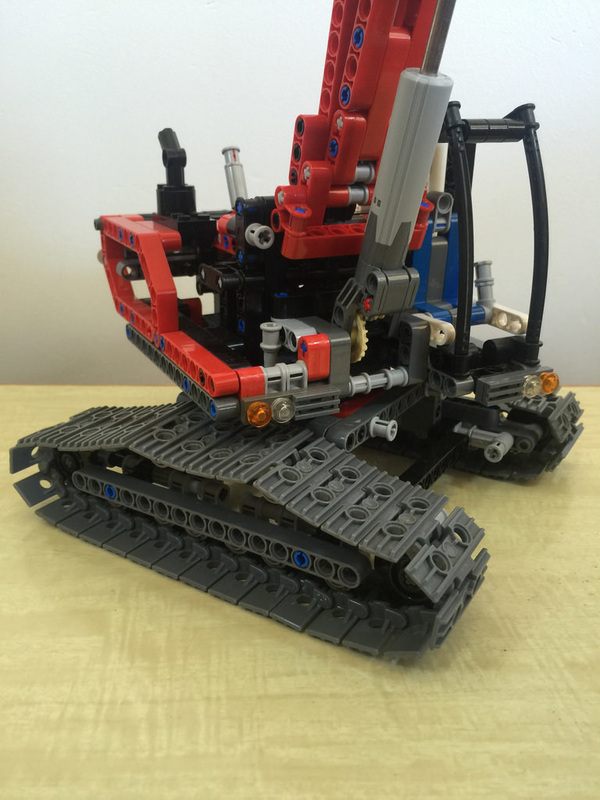 Not sure if it’s worth it, as excavators aren’t anything new to LEGO. Because of this, collectibility is purely based on the Pokemon-esque style of gotta have them all! Next week I’m heading for space, with a Galaxy Squad set! I’ll be looking at 70706: Crater Creeper from the 2013 Space subtheme. Happy building!